Ballouville is a quaint village which is located in the town of Killingly, CT. Like other towns and cities found throughout Connecticut, Ballouville is full of families, safe neighborhoods, thriving businesses, and unfortunately a wide variety of insects and rodents. To keep the many pests that also live in Ballouville out of your home and away from your business, the New England pest control experts at Big Blue Bug Solutions offer industry-leading, long-term pest control solutions. Whether you are a home or business owner residing in Ballouville you can be sure that your Connecticut property will be protected from potentially damaging and dangerous pests. Get in touch with us today to learn more about any of our exceptional residential or commercial pest control programs for your Ballouville property! 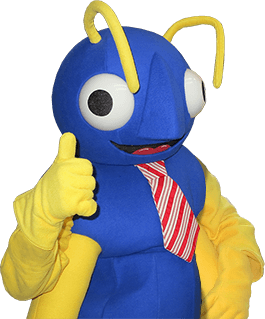 Along with being famous for our “big blue bug” that sits atop of our headquarters, Big Blue Bug Solutions is famous for its outstanding pest control services which work to keep Ballouville homes free of pests all year long. To protect your home, family, and belongings from being damaged by common household pests, the professionals at Big Blue Bug Solutions highly recommend putting into place a year-round pest control solution. Our Home Owner’s Policy or HOP as we like to call it provides our customers with three visits per year from our experienced and friendly technicians, during these visits they will complete preventative treatments and provide the ongoing monitoring of areas likely to play host to pests. Through this program, we provide our customers with the guarantee that if pests become a problem in between our visits we will return at no charge to you to take care of the problem. Another benefit of HOP is that you will receive our exclusive Blue Glove Service. Our technicians will wear blue gloves and blue booties when entering your home, helping to ensure that your home is as clean after we leave as it was before we arrived. To learn more about HOP or any of our other highly effective residential pest control solutions, give us a call today! Inspect your home’s basement walls and foundation, sealing any cracks and crevices that are discovered. Check for any gaps around windows and doors, caulking any openings that are found. Door sweeps should always be placed on exterior doors, especially basement doors. Reduce humidity levels in your home by using dehumidifiers in basement areas and making sure that crawl spaces are properly ventilated. Wipe out excess moisture from sinks and tubs. If you are experiencing problems with silverfish inside of your Ballouville home, contact us at Big Blue Bug Solutions and we will quickly come to your aid and provide the services needed to eliminate the infestation and prevent their future return! Trust the New England commercial pest control experts at Big Blue Bug Solutions to keep your Ballouville business free of the pests that can destroy its reputation, damage your facility, and cause your customers to spend their hard-earned money elsewhere. To control pests in your commercial facility, we will put into place our Monthly Maintenance Program; this program includes customized once a month visits. During the monthly visits our professionals provide pest monitoring services in addition to performing preventative treatments; if possible any pest problems that are discovered during a visit will be taken care of immediately. If you are wanting a long-term solution to keeping flies, roaches, rodents, ants, spiders and more out of your Ballouville commercial property, contact Big Blue Bug Solutions today! When traveling, inspect the hotel room you will be staying in for bed bugs before bringing your luggage into it. Keep personal items up off of the ground when spending time in public places. Do not purchase used mattresses, box springs, or furniture for your home.